Of course, in order to do sea swimming or wild swimming safely, you'll need a certain amount of equipment, but not much compared to many other water sports. We have put together a list of some of the most useful kit below, that we would recommend to anyone who wants to take their outdoor swimming activities to the next level, all of which has been thoroughly tried and tested by our team! This equipment is not all essential though and many swimmers start out with the minimum amount of gear as well as second hand items which often last for years. Try things out, what works for you might not work for another person. At the end of the day it is about being comfortable both in the water and on the land before, during and after your sea swim. If you are comfortable, you are relaxed. If you are relaxed, you will swim more efficiently. For the purpose of this article and in case you are wondering about the absolute essentials to get started, we have split this review into 'Essential' and 'Non Essential (but nice to have!)'. The best wetsuits are the triathlon style sea swimming wetsuits. We would not recommend a surfing style suit as they are not flexible enough and do not hug the body as needed for swimming. 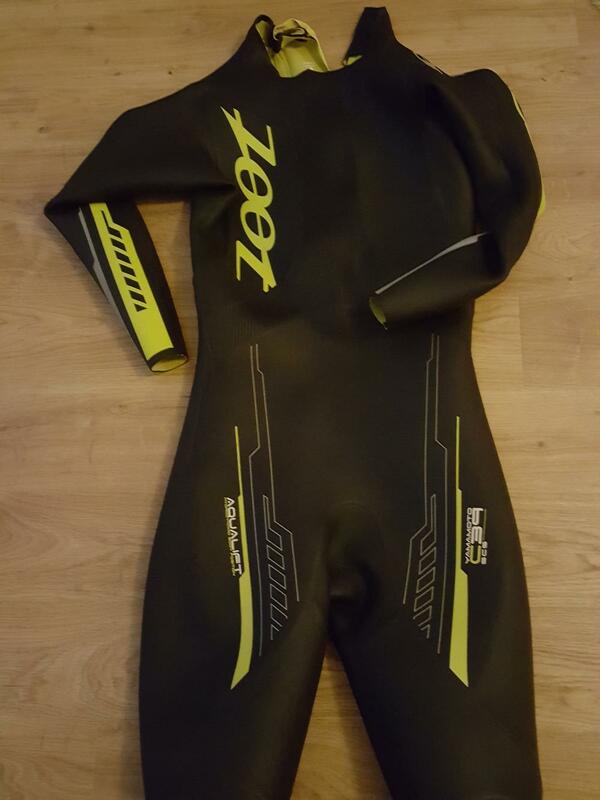 It is worth spending time (and as much as you can afford) to get a decent swimming wetsuit as they do definitely make a difference when swimming both in terms of buoyancy and speed. Typically between 2-3mm thick, they are thinner and more flexible than your normal SCUBA or surfing style wetsuit and allow greater movement of the arms and shoulders. There are usually many other features available, especially on the more expensive models, such as specially cut body lines and surface grooves for increasing flow of water over the suit to increase speed. Any swimming goggles will do but you can get quite a bit of sun glare on the sea and for this reason tinted goggles are useful, but then when conditions change for the worse you may not want the tint! It's advisable to carry a couple of pairs and select the ones you need on the day. For this reason we tend not to bother with the really expensive ones as they can get easily lost or damaged too, £8-£15 will be sufficient for a suitable pair of goggles. Whilst not absolutely essential, we would advise you to use one certainly in the winter months, simply for that added warmth. These are the skull cap type hats that have a strap under the chin. They are not the SCUBA or freediving hoods, which would be way too restrictive. Some people choose then to put a rubber swim hat over the top of their neoprene swim cap, for added warmth and visibility. It's not really necessary to use these all year round, but we would recommend investing in a pair of swimming socks, certainly for the Winter months. 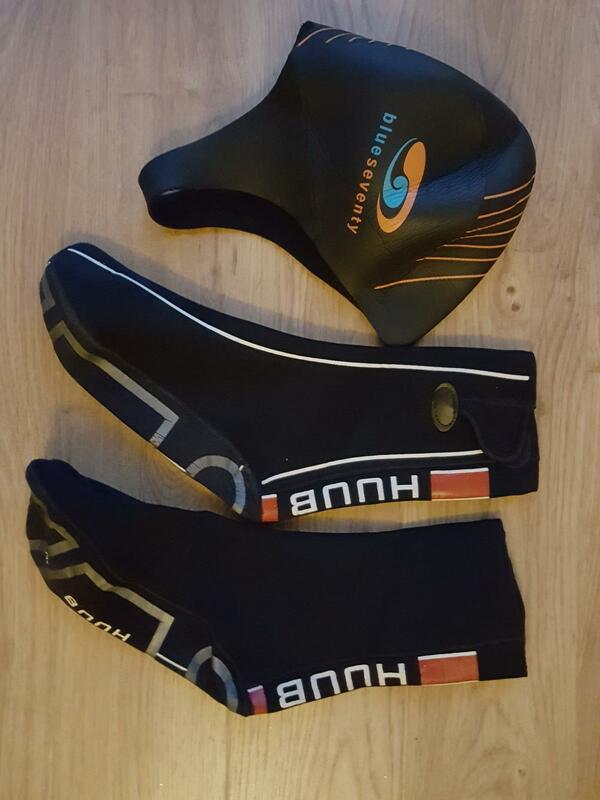 HUUB offer some good models as shown but any reputable brand will do as long as they are flexible and fit snug to your feet like a sock and do not have soles like the SCUBA booties, which would be way to rigid for sea swimming. Although not necessary in the summer / autumn months, this kit is essential if you want to do sea swimming year round, which is very rewarding in terms of learning how to handle anything the sea throws at you in terms of sea conditions and weather. Having the right kit is essential if you plan on sea swimming in more extreme Winter conditions. OK, let's be honest: the UK is not the warmest of climates! Even in the height of Summer the weather can change to windy and rainy conditions. But we're firm believers in the saying "There's no such things as bad weather, only bad preparation". Of course, a decent fleece, tracksuit trousers and big coat will do the job, but you also may want to start thinking about space requirements and especially if you have to walk to the spot you are swimming, the practicalities of carrying your gear when dressed up in loads of winter clothes become less feasible. Keeping warm is absolutely critical before and especially after your swim. We have found the best bit of kit for this is the DryRobe. The Dry Robe - a complete 'ecosystem', which wraps you in instant warmth after your swim! 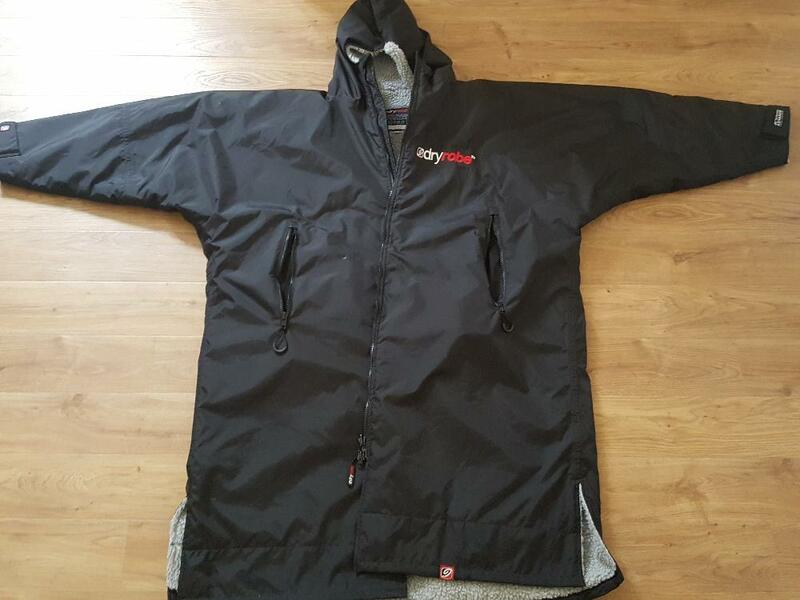 It's completely windproof and waterproof with fleece lining that wicks away moisture and numerous zipped pockets for your keys, phone, hat etc.. They start at about £80 and go up to around £120, but they allow you to dry off, keep warm and even change inside the robe, completely protected from the elements as well as any curious onlookers outside. The Dryrobe is an excellent bit of sea swimming kit. 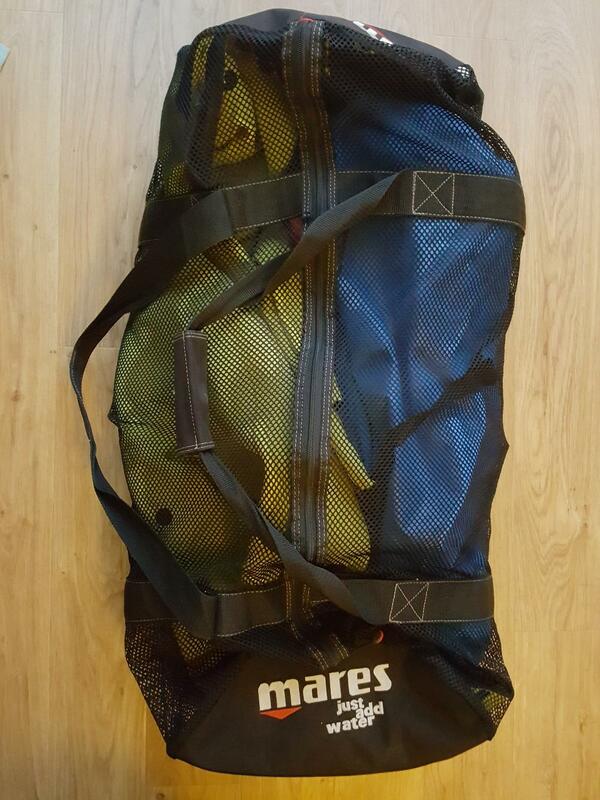 Again, there are so many options available in terms of suitable dive bags but this dive bag by Mares consists of a tough nylon mesh material in a basic tube shape with a durable zip and bag ends. It will allow your gear to drip and air dry as you transport your equipment and is large enough to pack loads of sea swimming kit. The ends come with zip up compartments which can be used to keep valuables. Tough, practical, they make superb kit bags for throwing in everything you may need and more; and the carry handles are long/wide enough to go over your shoulder and head. Although this style of kit bag is not essential, it is a useful addition to your open water swimming kit. The watch pictured here is the Garmin Fenix 3. There are many on the market. These watches will allow you to track your swims over time and can synch to the likes of Garmin Connect and Strava so you can log all of your sea swims along with runs, bike rides and any other sport you choose to set up. They will monitor your stroke rate, distance and time and also the route you take in your swim and are a good way to log and use metrics to improve over time; for example, if you are a triathlete training in open water. Decent activity watches are not cheap, starting at around £300 going up to more than £500+, but you do get what you pay for. 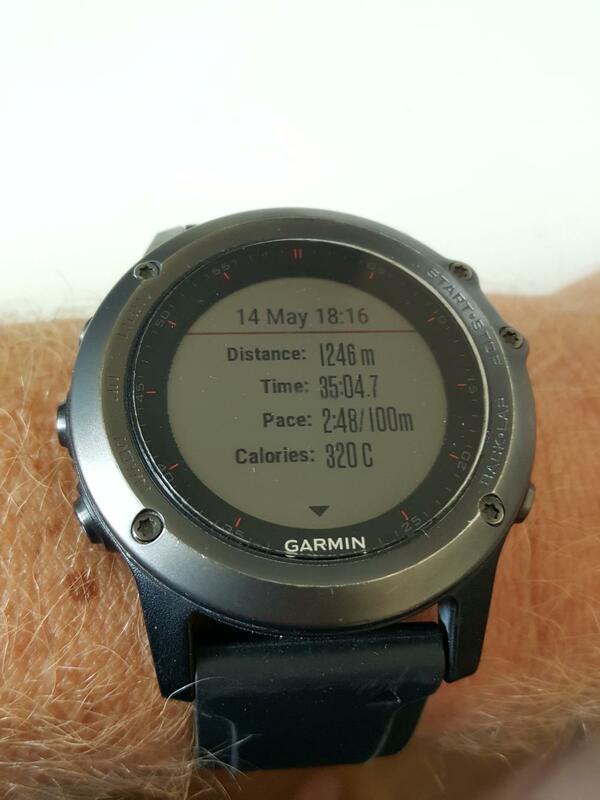 A quality watch such as the Garmin Fenix 3 will last a very long time and is an excellent and very robust device that can be used not only for open water swimming but also for cycling, running, gym sessions, rowing, surfing and more. This model is on the series 5 now, so make sure you check how long the model you like has been running as it may be due for an upgrade or have a later model available. Once you take the plunge and get one of these watches it will open a whole new world of stats analysis, very useful for the serious open water swimmer, triathlete,as well as general sea swimming enthusiasts. 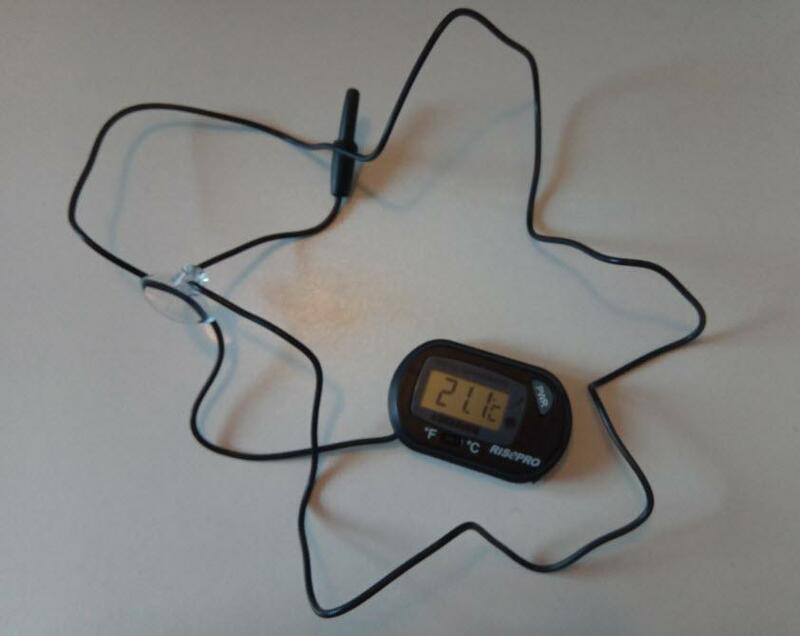 For those of you who like to do skin swimming, and we must admit we've been getting more and more into it through the winter months, a small digital thermometer is a useful thing to have. This is nothing more than a soft mat for standing on to get changed before and after your swim. However, it should be small and light so that it is not an inconvenience when carrying your gear. You can buy mats in the shops, but we found that an old camping mat, cut down to a 50cm square, works fine. The closed cell foam is soft when standing on stones and keeps out the wet and cold. Keep it simple and recycle! Use a SCUBA rash vest or Triathlon vest under your wetsuit in the winter to add a bit of extra warmth and avoid rashes from rubbing . Essential for getting to and from the beach or wherever you will get into the sea. Obviously in winter you may need something more robust than flip flops. However they should be easy and quick to get on and off and will make it easier to walk around after your swim when your feet get covered in sand. These are the rubberised bags that can be rolled shut at the top of the bag and keep everything dry inside. Use with care around sharp objects like stones or spear guns when spearfishing. They are also very bouyant when rolled up and can be used as improvised swim bouys if you forget your main one. This is a tough, rigid plastic box that has a waterproof seal when closed. They come in various sizes but they are completely watertight and usually have a sponge lining of some kind inside that can protect electronics like phones or tablets. 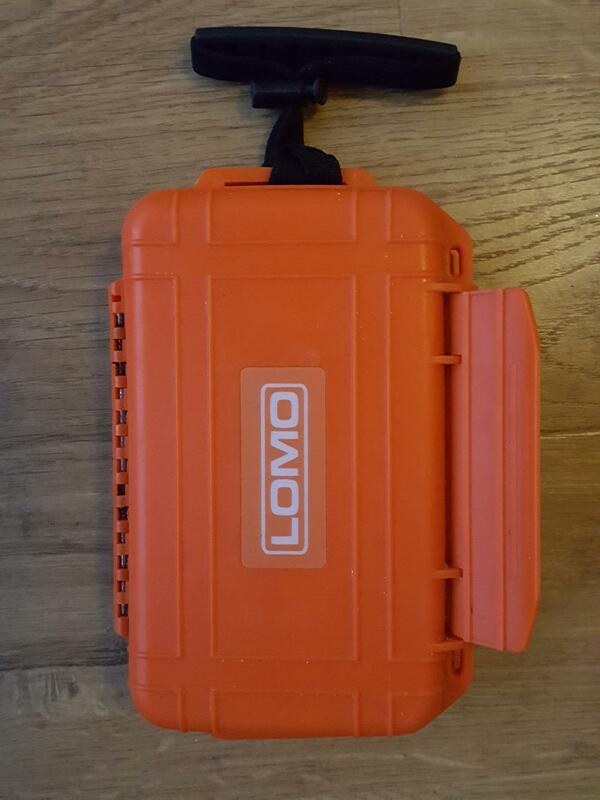 LOMO do a few different sizes and these have worked well for us. Contact us here for any tips and advice on sea swimming gear or to enquire about our trips or open water coaching.